We receive a number of direct messages usually in the tens weekly. Given our focus on Africa, some of our readers contact us in a flurry when there is huge Africa related controversy. As you may know a Chinese man was deported from Kenya for racial slurs. Also recently African Presidents were in China to discuss some Chinese ‘horsetrading’ on the continent. Both issues have generated some controversy and some of our followers have written us to hear our thoughts about this issue. On this blog, we focus primarily on public policy and impact investing that can improve the livelihoods of Africa’s masses. We are however happy to publish some recommendations from some of our readers from time to time. We acknowledge the pervasiveness of racism and discrimination globally especially against black people and we respect your opinions on this subject. However we believe that Africans in particular will win respect when they become self sufficient. It is why we are passionate about public policy and impact investing as levers to unleash the potential of the African. And it is why we have chosen to publish the recommendation below out of tens we receive weekly because it aligns with our central theme of self sufficiency. Note: the views expressed in these letters to AA are not ours. However some salient points in this week’s letter such as emphasizing critical thinking and science and tech education on the African continent we support. “Hello my brother, this is Keith Jackson from the United States. I love all Africans and the African continent. So the well being of Africa and Africans concerns me. The Chinese, as well as the Europeans, only respect intelligence. And they will never care about the well being of Africans no matter how nice we are in our dealings with them. That’s just the way it is. Only Africans can truly love and care for other Africans. Unfortunately, some African leaders have submitted to the Chinese and Europeans mind, body and soul. All because of European or Chinese slips of paper made by a printing press that’s called money. It’s really worthless unless you buy their goods or services or participate in their banking system. African land and it’s resources is priceless. Sure they will give you millions or billions of worthless paper for oil, natural gas, gold,silver,diamonds,nickel, iron ore and the list goes on. Africans must learn to value African lives, land and resources over foreigner’s fundamentally worthless money. That’s a sign of intelligence. Then they will learn to respect Africans. We, Africans, should be ruling this planet. 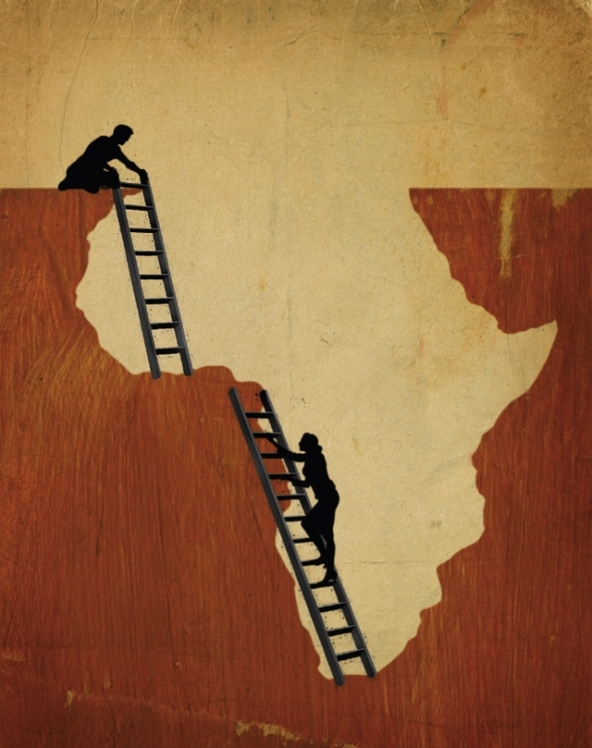 But the misconception that money is power has disillusioned Africans. Intelligence is the only power, along with the ability to wage war. Africa doesn’t need the rest of the world to survive. But the rest of the world needs Africa’s resources. So why take their money? On a subconscious level, Africans want the acceptance of other races to feel complete. So giving away Africa’s precious resources for worthless paper just to be recognized by these genetically inferior races is insane to say the least. Africans must embrace warfare, scientific research and development and manufacturing to attain power and respect in this world. If I ruled Africa, there would be no countries, just Africa. That’s how the Europeans divided the African people. By drawing the country borders and bringing their foreign languages to Africa. Africans have been tricked to the third degree. And it continues to this day. You tell the African leaders, that scientific discovery, record keeping and military development, rules in this world. Never mind the petty comments from foreigners. That’s childish tactics to distract you from thinking about more important things like science and warfare, the cornerstones of true power.